Personalize it. Live in it. Pass it down. Heirlooms are more than objects; they’re keepers of memories, both old and new. They can live and be loved in. And more importantly, they can be anything. This season, we’re starting a new holiday tradition by positioning Levi’s® as the ultimate heirloom to personalize, customize and pass down, generation-to-generation. 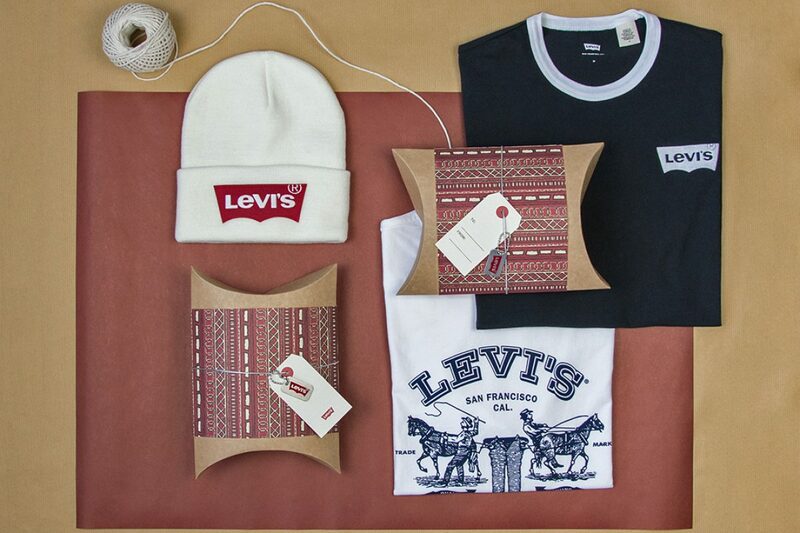 This holiday, we’ll make Levi’s®the only brand to give and receive. From iconic pieces that never go out of style to last-minute gifts that are sure to please, Levi’s® makes it easy to find staples that everyone can enjoy and make their own. Here are our top picks for men and women this 2018 Holiday Season. 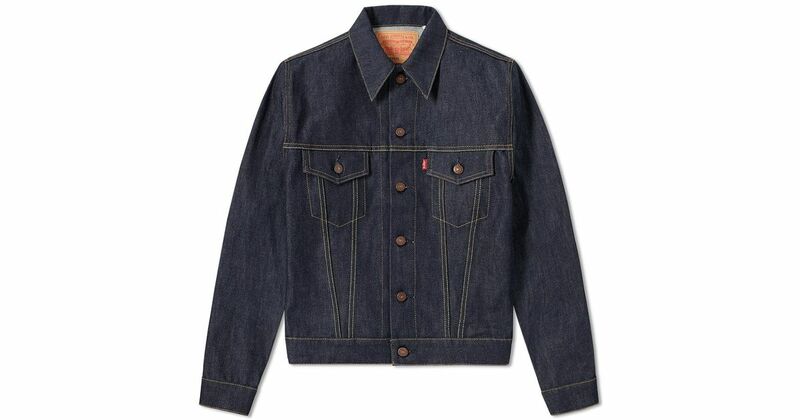 TRUCKER JACKET: The first-ever denim jacket is still the best-ever denim jacket. The Type III Trucker Jacket is the most recognizable design of all our denim jackets, which has been worn by everyone including ranchers, rock stars, truck drivers and rebels and has continually evolved throughout the 20th century. Patch, pin, monogram and more to add a unique touch to your Trucker Jacket or to create the ultimate personalized gift. With a number of unique washes available, no closet should be without this denim staple. The Sherpa Trucker Jacket has long been one of our most popular styles, and this holiday season it evolves in modern and unexpected ways. We’re playing with proportion, offering longer-length and cropped versions. In addition to lining, pops of sherpa appear on collars and hoods across our outerwear, adding texture and thoughtful detailing. From monograms to embroidered patches and eye-catching pins, adding your own personal twist on your jeans and jackets is more fashionable than ever. 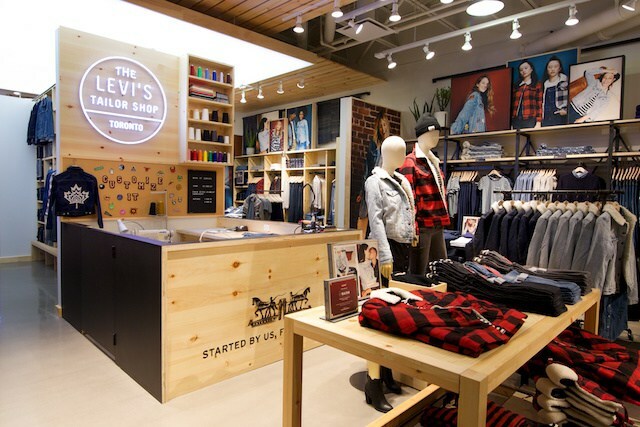 For those seeking that personalized touch, select Levi’s® stores in Canada offer Tailor Shops where customers can have their favorite denim pieces tailored by a team of specialized craftsmen. These exclusive shops offer custom embroidery, tailoring, hemming and repairs. Levi’s®jeans and jackets are a favorite canvas for self-expression and can make a perfectly unique gift for anyone this season. DIY Workshops are now available at the locations below.